Duke and Duchess attend Team GB gala Jump to media player The Duke and Duchess of Cambridge attend a gala performance at London's Royal Albert Hall, to celebrate Great Britain's Olympic and Paralympic athletes. 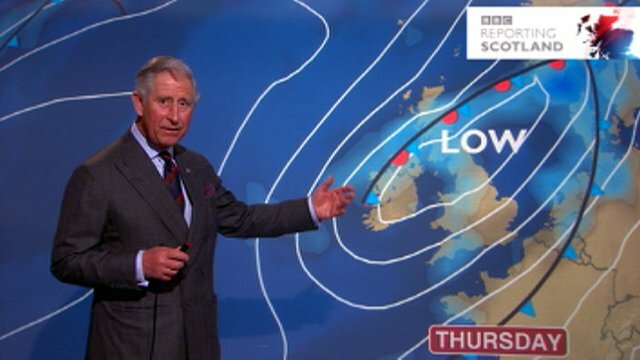 Prince Charles presents the weather Jump to media player Prince Charles presents a special weather forecast during a visit to BBC Scotland's headquarters in Glasgow. 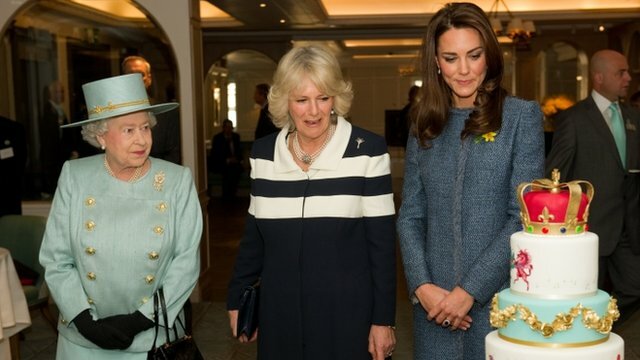 Royals visit Fortnum & Mason Jump to media player The Queen, the Duchess of Cambridge and the Duchess of Cornwall have visited one of London's luxury department stores. 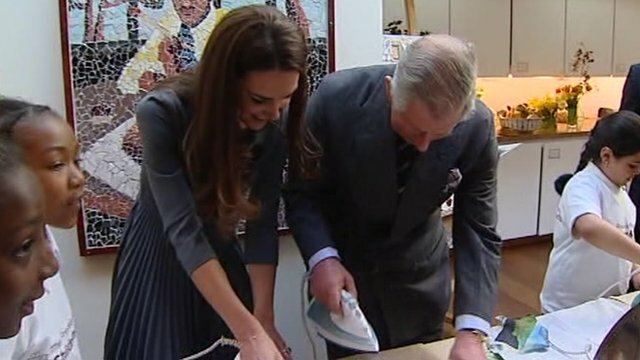 Kate: Ironing project 'like being at home' Jump to media player The Duchess of Cambridge and the Prince of Wales have visited the Dulwich Picture Gallery in south-east London, to see the work of the Prince's Foundation for Children and the Arts. The Duke and Duchess of Cambridge have attended a gala performance at London's Royal Albert Hall, to celebrate Great Britain's Olympic and Paralympic athletes. Among those performing at the Our Greatest Team Rises event included singers Gary Barlow, Will Young and Alfie Bo, and former Britain's Got Talent winners Spelbound. William and Kate, along with Prince Harry, are ambassadors for Team GB and Paralympics GB. James Pearce reports from the event.